Toro's 89-1807 is a Half-Circle 4-Stream Bubbler Nozzle from the 570 Series. It has a male thread. This Half-Circle 4-Stream Bubbler Nozzle features a matched precipitation rate nozzle for uniform watering. 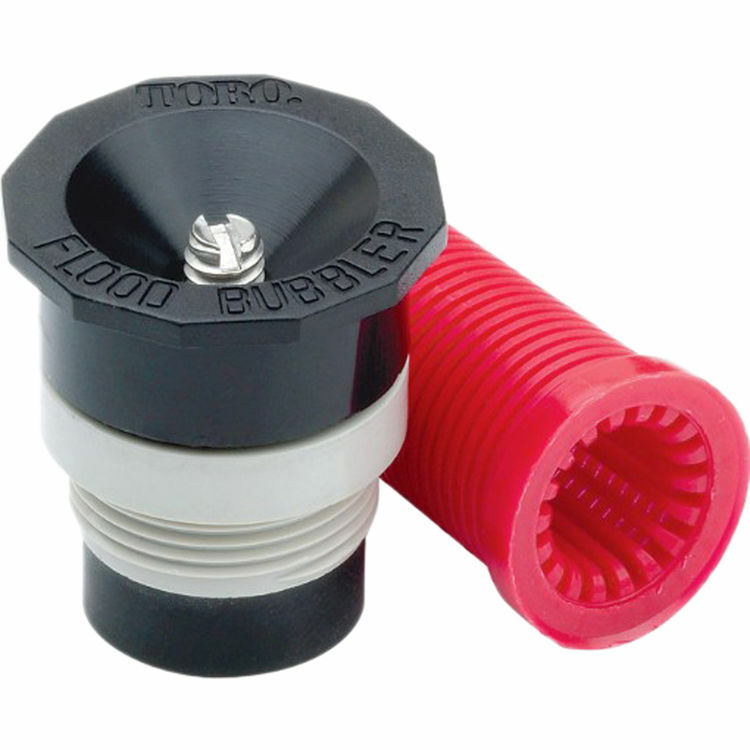 This Half-Circle 4-Stream Bubbler Nozzle has a flow rate of .84 - 202 GPM. This product has a pressure rating of 10 - 60 PSI. It has a of 5' - 17'. spray radius. This item comes in a Gray color scheme.